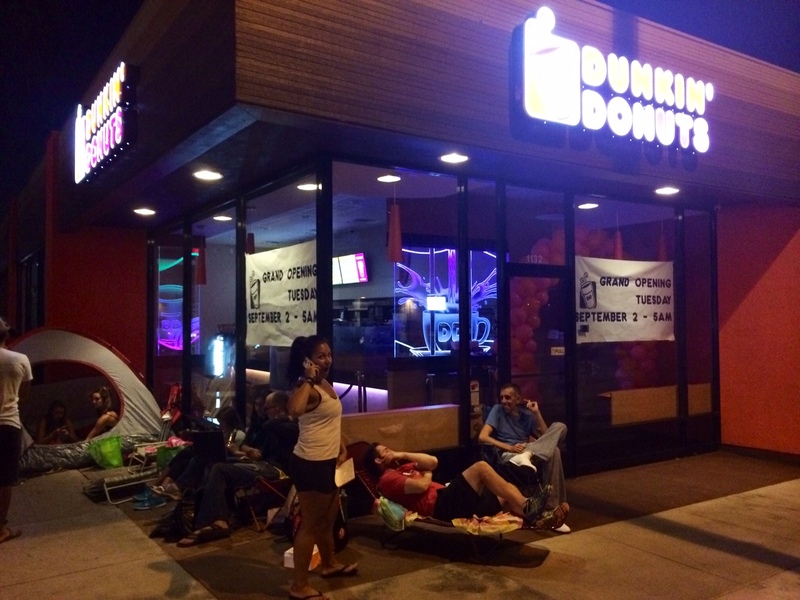 Dunkin’ Donuts Opening Tuesday… Panic Ensues… Updates! 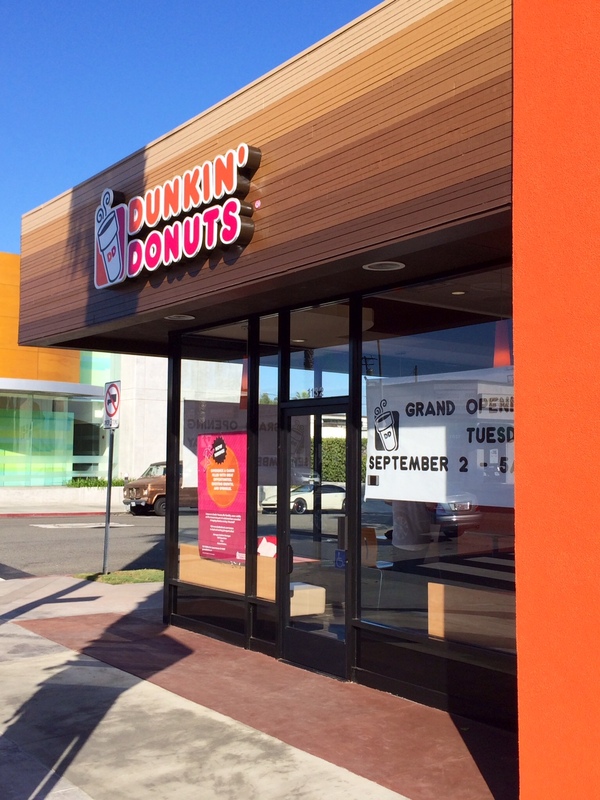 It’s official: According to the signs posted in the window over the weekend, LA’s very own Dunkin’ Donuts is set to open at 5:00am on Tuesday, September 2nd at 1132 Wilshire Blvd. (corner of 12th) in Santa Monica. This will be the first outpost of what appears to be a major expansion into the West Coast. Look for a menu of breakfast and lunch sandwiches, fetish-inducing coffee, and, well… donuts. And by 7:00am Tuesday morning, panic breaks out…News cameras, traffic jams, lines around the block! 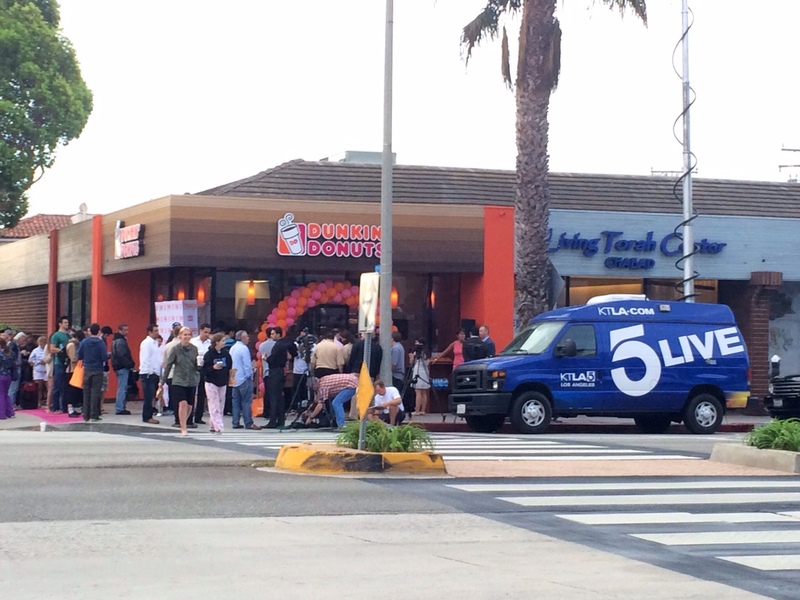 Construction Begins On LA’s First Dunkin’ Donuts At 1132 Wilshire Blvd. 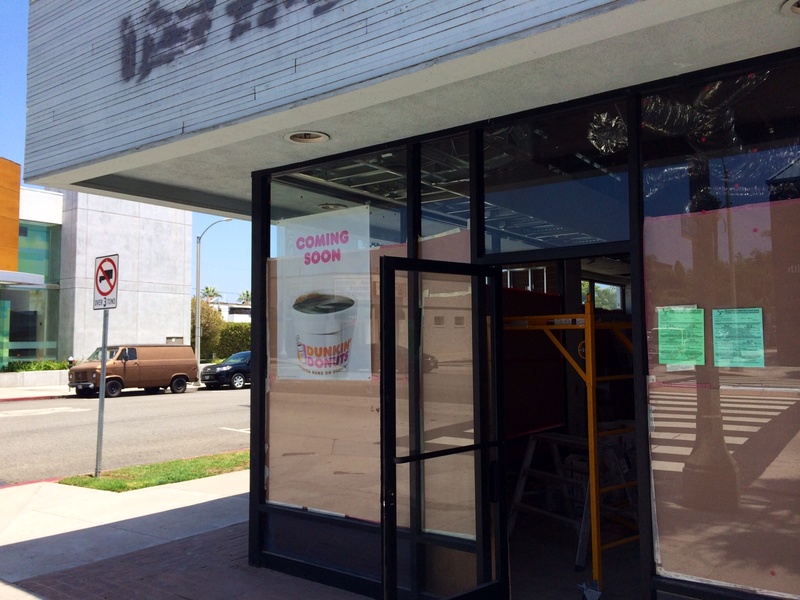 Its official: Construction is underway and signs are up in the window confirming that LA’s very own branch of East Coast cult favorite Dunkin’ Donuts will soon be arriving on the corner of 12th and Wilshire in Santa Monica. Offering a menu of their much-lauded sugary treats and fetish-inducing coffee as well as breakfast and lunch sandwiches, this will be the first LA outpost of what appears to be a major expansion into the West Coast. No word on a projected opening date yet, but until then, read more here.